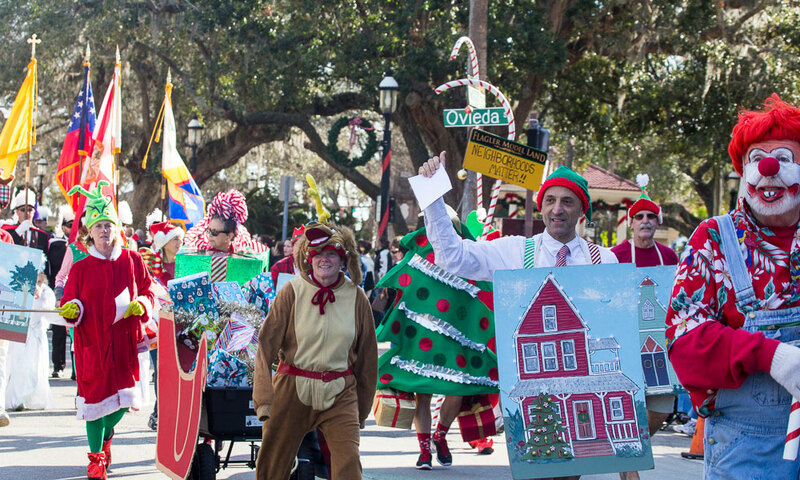 The Christmas Parade is a time-honored tradition in St. Augustine, designed to get everyone into the holiday spirit! 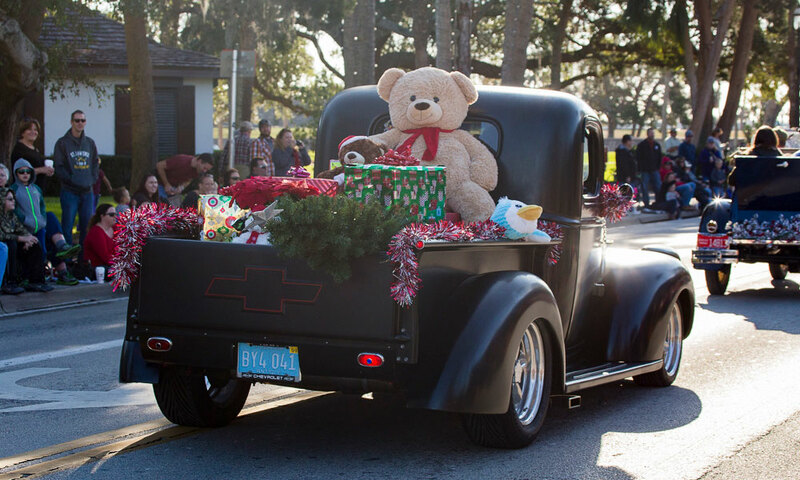 St. Augustine’s 64th Annual Christmas Parade ushers in the holiday season with floats, festive decorations and plenty of fun. Lots of local organizations participate in this event, making it one of the largest parades in Northeast Florida. 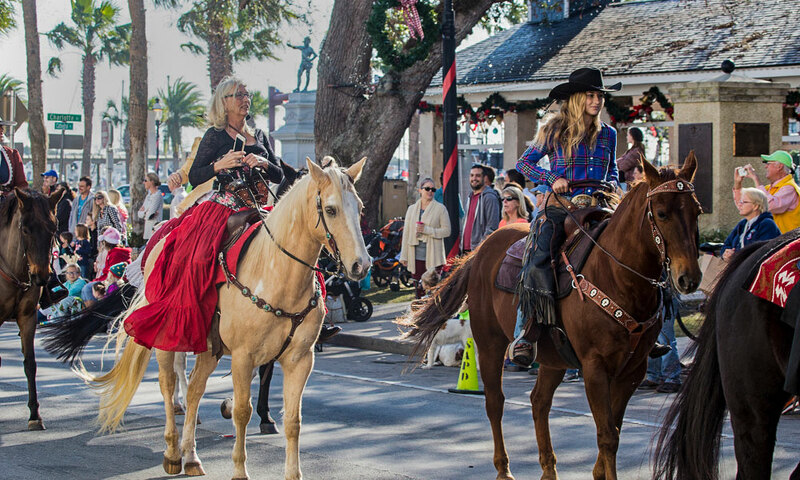 Holiday season decorations adorn all the entries, from floats to marching bands to antique cars and horses and carriages. Even Santa joins in the spectacle, as visitors and locals alike come down to the historic district to watch the procession. The parade begins at the Shrine of Our Lady of La Leche at Mission of Nombre de Dios at 27 Ocean Ave., proceeds south through downtown and then finishes behind the Visitors Center at 10 West Castillo Drive. 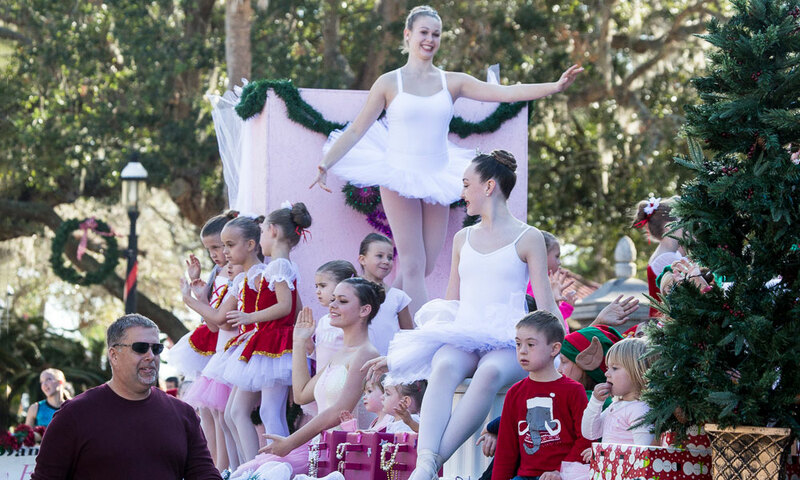 Spectators can view the parade from the historic streets of downtown St. Augustine. After the parade, everyone is welcome to stop by the Plaza de la Constitución to have pictures taken with Santa. When: Parade begins at 9:00 a.m. on Saturday, December 1, 2018. Where: Starts at the Shrine of Our Lady de La Leche at Mission Nombre de Dios, which is located at 27 Ocean Avenue, and ends at the St. Augustine Visitors Information Center at 10 W. Castillo Drive. For more information on this event please call (904) 824-4997.